Samsung SmartThings and ADT Created a New Home Security System: What is it Like? 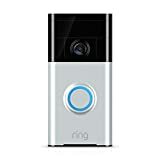 ADT and Samsung Security SmartThings released a new Home Security System about a week ago, around the same time Ring, manufacturer of video-surveillance doorbells, announced its connected home security system, the Ring Protect. With more options sprouting up in the home security industry, it’s important to compare different systems before making a decision. We’ve researched the Samsung SmartThings and ADT home security system to highlight some pros and cons. The Samsung Security SmartThings and ADT system’s starter kit includes the ADT security hub, two door and window detectors, an ADT motion detector, lithium batteries, and a LTE cellular backup module. Although ADT is known for their reliable hardware, the entire price of the starter kit, $549.99, is very pricey and doesn’t include the monthly fees for 24/7 monitoring, if you choose to add monitoring services. ADT’s monitoring fees start at $14.99 for life safety and $24.99 for security services. In addition, an expansion pack including one smoke alarm, one carbon monoxide alarm, and a water leak detector costs $200. Many competitors offer similar products for a much lower price than this new system, so it may be prudent to look for other options if cost is a deciding factor in your decision. The main ADT security hub features touch screen technology and can be used as a hub to connect your existing SmartThings tech to the control panel, which is nice if you’re looking to further your smart home transformation. The SmartThings hub can potentially control lighting, locks around the home, temperature levels, and more. Like other security systems, the Samsung SmartThings and ADT home security system can be installed by the user, so no professional installation fees are needed. In addition, ADT says that you can cancel services from the app at anytime; there’s no need to call to cancel. With the combination of two different companies, Samsung SmartThings and ADT, it is important to see if the security service covers all connecting hardware options from both sides. The 24/7 monitoring service is provided by ADT, but are all SmartThings hardware covered by ADT monitoring? Not exactly: water detectors and motion sensors that are compatible with the SmartThings hub and can be controlled through the security hub and app are not monitored by ADT’s monthly services: To receive updates on those from ADT covered under the monthly monitoring plan in case of any unusual activity, you would need to purchase water and motion detectors from ADT, not SmartThings. 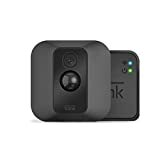 The Samsung SmartThings and ADT security system is well-thought out in terms of home security systems with the ability to connect to smart tech, but the price is definitely on the higher end. If you need help deciding what features of a home security system are best for you within your price range, contact Protect America for expert advice.